Sean Bielat can defeat Barney Frank | can i just finish my waffle? Sean, 34, and his wife are residents of Brookline, MA. They are members of St. Mary of the Assumption Catholic Church in Brookline. Remember, the Todd/Frank finance bill they just passed that was supposed to fix all problems did not even address Fannie and Freddie. And now foreclosures are in a mess and likely will be frozen. About the only thing their bill did was give permission to raid the treasury without even going before congress. And, of course, a whole new federal agency falsely passed off as “consumer protection legislation.” Right. They are coming to help us. Credit card companies are doubling down now to get ahead of it and it gives the government a free hand to now track our financial records. Think about it. The federal government having our medical and financial records at their fingertips. You can build, you can buy, any house your heart desires. Zero down financing,I am the banking queen…..
Told the bankers, Hey you guys! Make the loans or it’s your behind. My friends at Fanny sure need it, do it my way or beat it, while the stock’s crashing. That doesn’t mean a thing, I’m still the banking queen–no respect for a single thing. Banking queen don’t compwain or you’ll here me scream! Updated: 10.10.10 @ 12:20 a.m.
Barney Frank losing?! Frank, Reid & Pelosi losing her place…could it get any better? Mel, he has done enough damage – 30 years I think he’s been in Washington. Mel, Cannibalizing is correct. The liberals are happy to see Rahm Emanuel go – dumb dumb dumb, he’s the one that has been holding the disaster together. He isn’t a progressive, he was the one that warned Obama, don’t try and shove that health care bill down people’s throats…but Obama listened to Nancy Pelosi….the progressives ran the Democrats off a cliff. When it’s all said and done, the Progressives or as Robert Gibbs likes to call them the professional Left is going to find it’s self a lone, marginalized, and crippled. That’s what happens when you eat your own. I don’t know a bigger group of people who preach intolerance but never practice tolerance. correction: preach tolerance but never practice tolerance. I wonder where MsM is, she has to be following the mid term races. I have really been wondering about MsM. We are missing you and your take on all this stuff. Ree, at first I thought, good, Rahm and Axelrod are leaving. But then who will take their place? At least they seem to have some grasp on reality. We still have Hillary and I know she knows all about facing realities, but our leader is not listening to any of them I don’t believe, and he sure isn’t listening to the people. If he could just get that darn old congress, the “flawed constitution” and the Creator out of the way he would be happy. As valerie Jarret has said, “believe me, if he could have, he would already have done that”….whatever she was talking about. Don’t remember what she was talking about right now. And it is she who will be left with all the other shadowy figures lurking around the White House. Doesn’t make me too comfortable. What he represents as president is much more destructive than any of us really have realized — yet. “And then there are probably some aspects of the Tea Party that are a little darker, that have to do with anti-immigrant sentiment or are troubled by what I represent as the president. So I think it’s hard to characterize the Tea Party as a whole, and I think it’s still defining itself.” — Barack Obama to Rolling Stone Magazine. Notice: The Tea Party is well defined and we already know what we stand for. Maybe you’ll figure it out eventually, Mr. President. And is it really smart to attack your own supporters, put them down by telling them to stop whining and buck up? My goodness. Just keep it up, suits me. He tells everyone it causes division don’t make it us against them – then he continues to support Them at Our detriment. Americans becoming second class citizens in their own country. The Progressives don’t think we don’t see they have created protected classes of people? How is that equal under the law? Secure the Border, and we will worry about who is in the country after the Border is secured. This isn’t really about Immigration it’s about National Security. But he is a corporatist, and he isn’t going to do anything but give lip service to border and port security. He states in Woodward’s book the U.S. can absorb another terror attack the American People are resilient. This is true but just because we can absorb a terrorist attack doesn’t mean they shouldn’t be doing all they can to avoid one. This is why Democrats have such a poor rating on National Security. Don’t even get me started on RINOS and their open border policy for cheap low skilled labor. 1-7 Americans is at poverty level right now how many are low – under skilled illegal alien laborers? They don’t tell us the specifics. Mexico is a failed state and it seems like the politicians like to pretend there is some form of working government in Mexico. “Pretense” trumps reality Commerce trumps both. Pingback: Barney Frank challenger, Sean Bielat, gains momentum, funds « Can I Just Finish My Waffle? 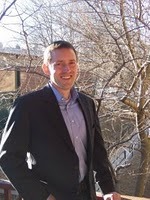 Sean Bielat, A Harvard man with a strong military showing, as well as expertise in information technology. In addition to adding some well needed ethnic diversity to the financial sector, Mr. Bielat would be an excellent candidate for personnel in the restructuring of CIA, after a not to long and productive carrier in Congress. As the world is realizing the importance of capital structure relative to national security; it seems imperative that we have a strong CIA with military backed objective of implementing a morality based, humanist leadership role in the world for the United States of America. Imagine a sound dollar backed by gold, with an administration, FBI, and CIA with an objective of protecting this country, rather than dismantlement for an international banking cartel.